Flip up the distinctive red cap located on the center console and press the stop-start button. This is when you hear the very audible 6.5-liter, naturally aspirated V12 sing to life! The Aventador is a car that speaks for itself. Ambitious even by today’s standards, the current flagship car of Lamborghini is the big bull of the car world. So how do you take the fun a step further? Ditch the roof! 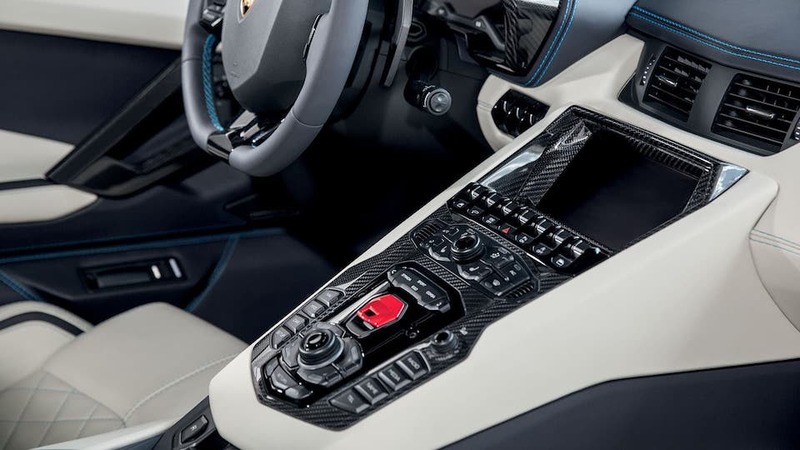 This is what Lamborghini has done with the Aventador Roadster to create a full-bodied experience. Are you ready to rent the Aventador Roadster for your road trip? This car should be on your bucket list. It’s a once in a lifetime experience! Of course, this car costs around €450,000 so you’ll need to drive carefully through cities. Rental and insurance policies are very strict and you will not be covered for small damages. Before you drive off with your new rental, make sure that the vehicle is spotless and report any damages or scratches. Although the Aventador Roadster is a new Lamborghini, the idea of a fast, open-top Lamborghini isn’t new. The first Roadster built by Lamborghini, was the one-off version known as the Lamborghini Miura. This was the father of modern day supercars. The closest sibling to the Aventador Roadster is its predecessor, the Murcielago Roadster. As you can imagine, it was a similarly outrageous idea that went into production with a similar formula—a mid-engine V12 purring in your ears! Roadsters were definitely built to turn heads. You won’t find another supercar that looks anything like the Aventador Roadster unless it’s something else from the Italian brand. The Roadster’s bold angles and shapes are dramatic. 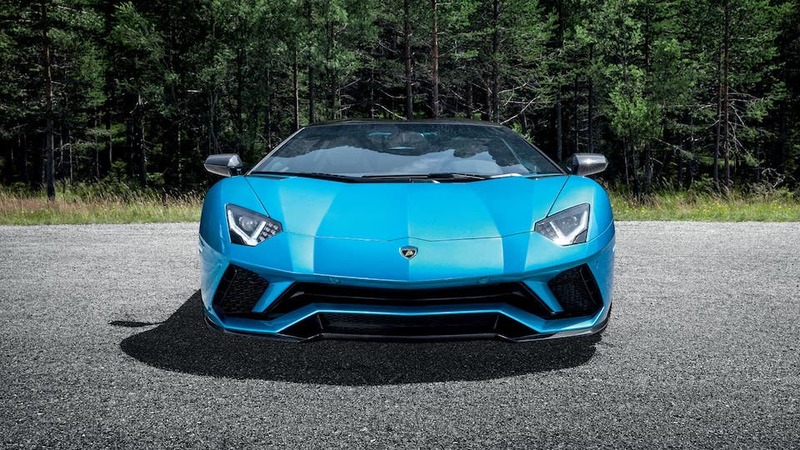 It resembles a fighter jet and provides a more raw experience than the regular Aventador. Open up the scissor doors and the whole aviation theme continues inside. There are only two seats in the Aventador Roadster but having more wouldn’t make sense in a car like this. The seats are similar to the bucket seats you find in race cars. This seat design gives you not only comfort but a stronger sense of connection with the car. Starting the Aventador Roadster is also a dramatic event. Flip up the distinctive red cap located on the center console and press the stop-start button. This is when you hear the very audible 6.5-liter, naturally aspirated V12 sing to life! Unlike classic or older Lamborghinis, the Aventador Roadster remains a very drivable car inside. The seats are upholstered in leather and allow you to sit in a very commanding driving position. 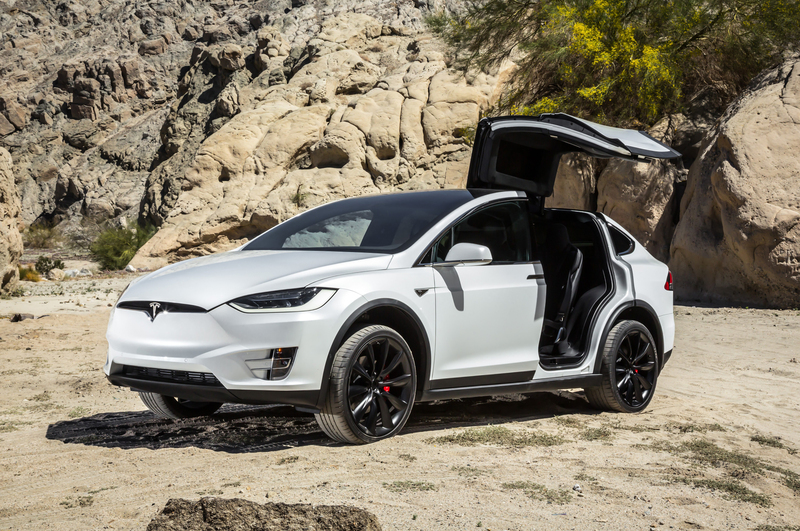 There are all the modern amenities you could possibly need, including an infotainment system. While all those features are nice to have, what you should be looking forward to most is driving the Roadster with the top removed. The Roadster isn’t an afterthought by Lamborghini. It’s built to give its own unique feel. The roof is comprised of two carbon fiber panels that weigh just 6 kg each. When removed, the panels can be stored in the front luggage compartment. Unlike a convertible that does the opening and closing automatically, here you have to physically take down or put the panels in place as needed. There’s not too much room left over in the front compartment with the panels in there so remember to pack lightly. The V12 on the Aventador Roadster is the same unit you’ll find on a normal Aventador. Producing an insane 700 horsepower and 500 lbs/ft of torque. The Roadster is fitted with a single-clutch 7-speed automatic gearbox which sets it apart from a lot of other manufacturers who use a dual-clutch transmission. This makes the car as light as possible so that you can focus on speed. How fast are we talking? 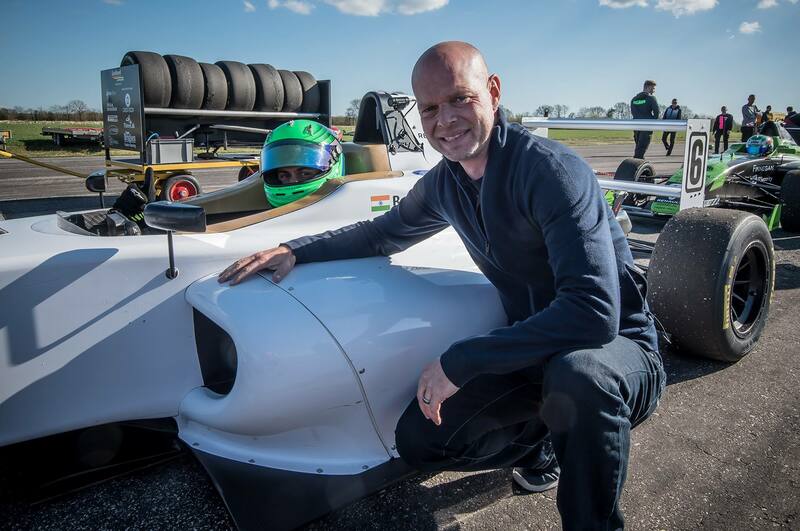 How does 0to 100 km/h in 3 seconds and a top speed of over 350 km/h sound to you? Speed will be the least of your concerns here! Of course, that much power in a convertible needs to be supported by a strong chassis and Lamborghini has done their part. They’ve stiffened the overall structure of the Aventador Roadster. This does bring the weight up but only by 50 kg. The body is made of carbon fiber parts which are strong but light as possible. In fact, Lamborghini claims that the Roadster lapped the Nardo test facility in almost the same lap time as the regular Aventador. With the Roadster, however, you can hear the relentless V12 revving away at upwards of 8000 rpm with much more clarity. Solely for that experience, the Aventador Roadster is worth a go. A car like this demands the best roads so where better than Germany to experience the Roadster’s full potential? The world famous Autobahn lets you rev the Roadster’s engine to its full glory and you can take it up to inconceivable speeds on some sections of the highway. Driving down south to beautiful Switzerland, you can experience the Furka Pass whose hairpin turns resemble the bends of a race track. 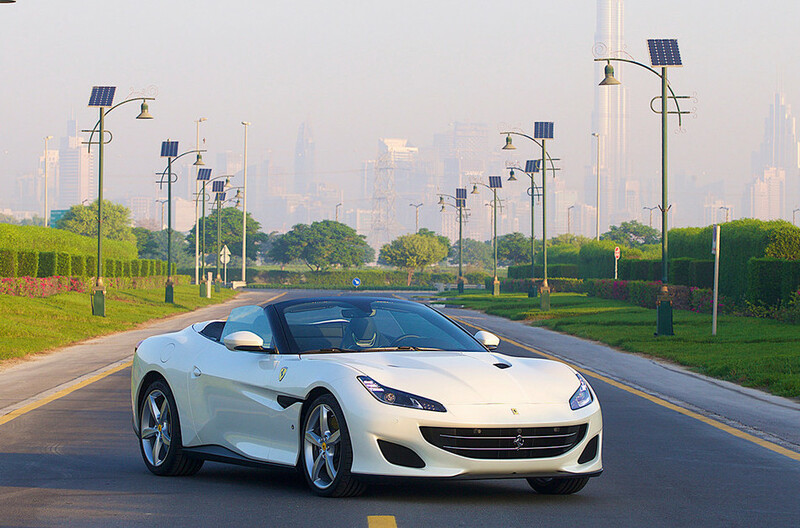 On a sunny summer day, take the Roadster out for a spin while enjoying the powerful roar of an engine built for speed! You will find the best daily rates if you rent in Dubai, United Arab Emirates while the most expensive countries to hire Lamborghini Aventador Roadster are Spain and France. Renting in Italy is also a smart choice. The rates there are reasonable and you can experience historic sites and beautiful countryside. In addition you’ll also have a better chance of getting a newer car.